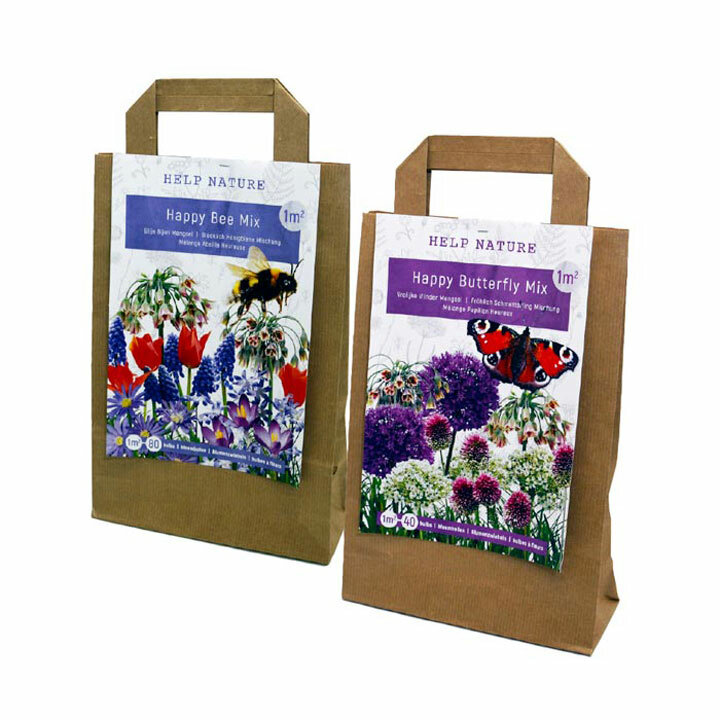 Featuring a set each of the bee and butterfly attractng bulbs and bags, developed with the Beekeepers Association to help nature in your garden. Each collection comes in a paper bag. 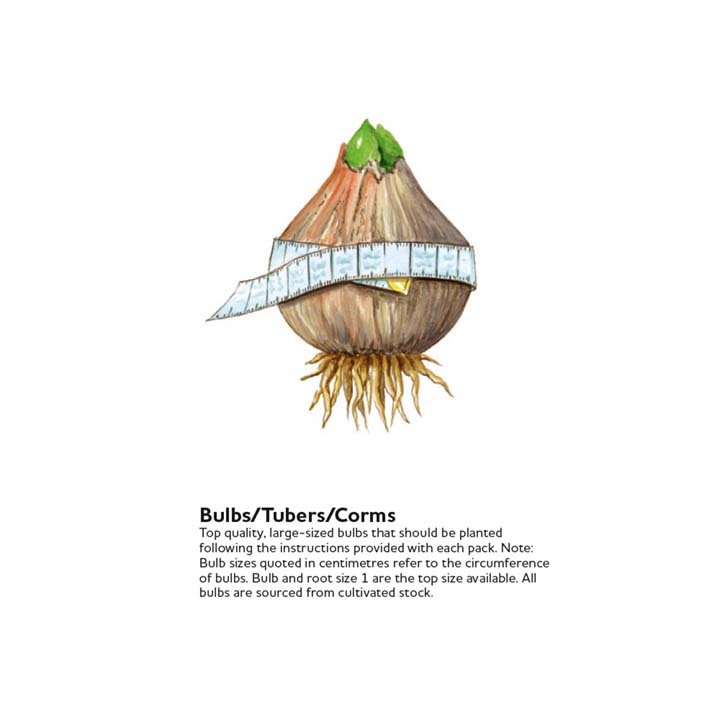 Bulbs will flower from January to June. Bulb size 5/7cm. Happy Butterfly Varieties: Allium multibulbosum (nigrum), Allium Purple Sensation, Allium sphaerocephalon, Nectaroscodum siculum. Happy Bee Varieties: Crocus Ruby Giant, Chion Luciliae, Tulip Linifolia, Muscari Armeniacum, Nectaroscodum siculum, Anemone Blue Shades. 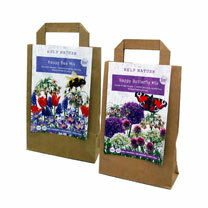 Get Your garden Buzzing for at Least 6 Months!